Baccarat is a favourite game of many gamblers. The traditional game has a rich history, both in and out of the casino. While some gamblers enjoy playing the game solo with a glass of scotch on the rocks, others have their own rituals. Typically, baccarat players fall into one of six categories: the serene player, who exudes complete composure regardless of the circumstances; the mathematician, who plays logically using his excellent memory; the defensive player, who plays in a purely defensive style; the professional, who is experienced, talented, and fearless; the observer, who likes to sit back and watch the game unfold; and the newbie, who is just starting out. In this article, we explore the types of baccarat player in more detail. Baccarat is often associated with the fictional character, James Bond. Just like Bond himself, the serene player portrays themselves as the hero, being both polite and respectful to those around them. The serene player is a regular gambler and has the skill to exude complete composure, regardless of whether they’re winning or losing. In addition to baccarat, the serene player is often good at poker. Their impassive nature makes it difficult to read their emotional state, which in turn makes them great at bluffing. Finally, this type of player goes in with a game plan. In most cases, this will include building a psychological edge over the other players. Interestingly, the ‘mathematician’ isn’t necessarily a professional at mathematics. What we mean by this, is that he doesn’t have to have a degree in mathematics, or work as a maths professor or accountant. Instead, they are simply a player that uses logic to win the game. Typically, the mathematician will have an excellent memory. At any given moment, they’re aware of the probabilities, statistics, and profit margins needed to win the game. Often, the base of their strategy is to count the cards that are in play and memorise them; because of this, this type of player is given the nickname ‘counting machine’, or ‘human calculator’. In some ways, they are similar to the serene player; however, they have a deeper understanding of the mathematics behind the game. The defensive player uses a defensive playstyle to win the game. They are patient and hardworking, earning lots of small wins throughout the game. This type of player makes a great accountant, as they are conservative with their money and avoid taking large risks. Their style of play is fairly safe as they are wary of losing the profits they have accumulated throughout the game. The defensive player is often compared to an ant as they work hard and make lots of small wins until they have amassed a large amount. The professional is often pretentious, arrogant, and disconcerting. They have a wealth of experience in their field and are not afraid to win at your expense. They are feared by their opponents because of their aggressive play style and sneaky wins. If the gambler is also a great actor, they have the potential to win a large amount of money in just a few shots. Their level of experience allows them to seize opportunities and bluff their way through the worst of hands. As well as being able to crush the other players with a single hand, the professional gambler can play up to the gallery and steal the show. If you spot a professional before the game starts, consider moving to another table for your best chance of winning. Unlike the professional player, the observer is happy to sit back and watch the table without getting involved. When the time is right, they make the decision to enter the game and place their first bet. Years ago, observant gameplay was quite common; however, it is now becoming rarer due to many traditional casinos prohibiting it. As the observant player does not bet until later in the game, they are seen to have an advantage. 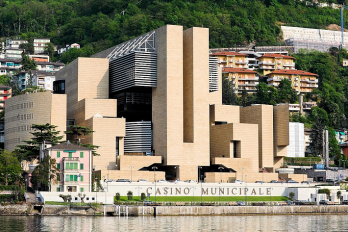 Conventional casinos have now introduced rules to minimise this type of play. As the style goes against the principles of fair play, observant gameplay is now seen to be disrespectful to both the game and the players. The newbie will spend time watching the game before getting involved. Unlike observer players, they don’t tend to place bets midway through a game; instead, they wait until the next one starts. As this style of play doesn’t give them an advantage, there is nothing to say they can’t do this. Essentially, all they are doing is learning the rules before putting their cash on the line. When they do get involved, they will often stick to small bets without touching the side bets. As they are just starting out, they often keep to themselves instead of chatting with their opponents. While the newbie isn’t doing anything wrong, most casinos aren’t a fan of this type of player. Often, they come in with a small amount of money and walk away with a small loss after spending ages watching the game. This means that the casino doesn’t make much of a profit. Next time you visit the casino, keep an eye out for the different types of baccarat players. If you look carefully, you should be able to spot them! 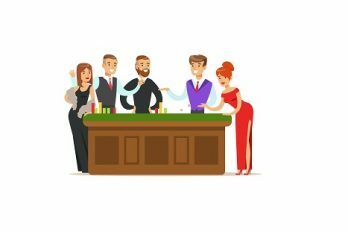 After reading the guide above, you should also have a good idea about what type of baccarat player you are. If you’re a newbie looking to improve your game before hitting the casino, spend some time practising online. 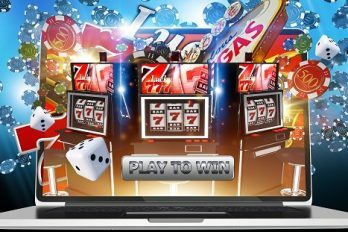 Unlike physical casinos, online casinos offer a number of free bets. This means that you develop your skills without putting your hard-earned cash on the line!